Random Thing #1: So we've been back from our family Christmas merry-go-round since Sunday night. We drove to western NY last Thursday to visit the 3 sets of grandparents for a few days. It was crazy really - 11 hours of driving each way for a few hours with each family. We had a nice time but needless to say came home exhausted. Now I'm in the middle of finding spots for all the new toys and taking down all the holiday decorations. It never seems like a lot of work putting up all those decorations but taking them down almost makes me want to cut back next year - almost. I think it is like having another child - you know how you forget all the morning sickness, childbirth and not sleeping stuff and only think how cuddly and lovey babies are and then go and get yourself pregnant. Anyways, my point was that our house is a disaster zone so hence no new projects to share - yet. I am in the middle of a new media center for the basement that hopefully I can complete this week. Random Thing #2: My oldest son's 9th birthday is today. He has requested Alfredo noodles and shrimp for dinner followed by my famous chocolate cake. It's only famous in our family because my husband and the boys love it so much. No big secret - just regular Betty Crocker cake mix and Hershey Cocoa Mix frosting. I think that making the frosting using real butter makes the difference. 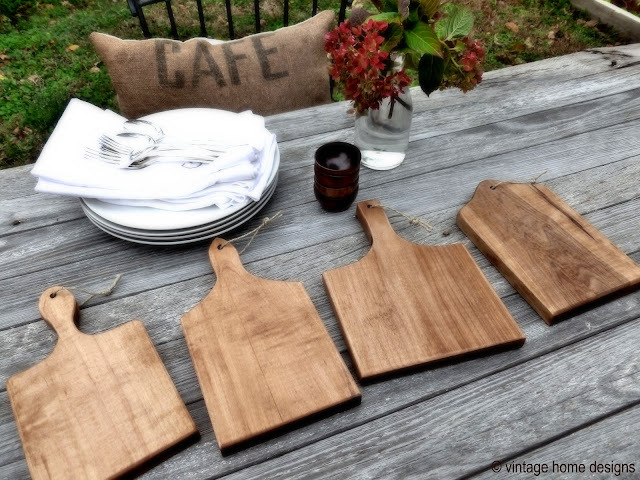 Random Thing #4: One of my favorite gifts to give this year was a set of 4 mini handmade bread boards from Vintage Home Designs. When they came to our house they were so awesome that I wanted to keep them for myself but I resisted and my mother-in-law loved them. 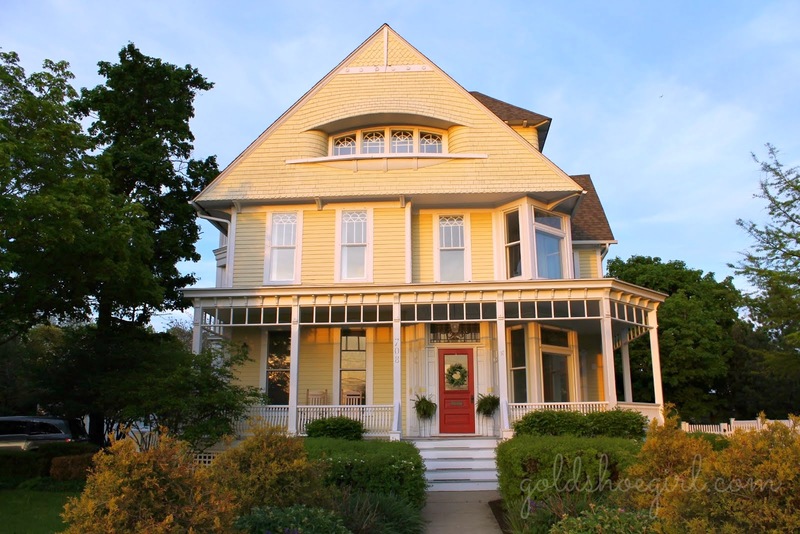 Our Vintage Home has a great blog that you should check out when you get a moment. Random Thing #5: I bought my husband a Kindle Fire . I have and love my first generation kindle, but I am liking the bells and whistles on the Fire. It was nice using the game apps on our car trip and I did like using it for checking email and my favorite blogs while away from home. I didn't love it as much for reading books as it is kinda heavy to hold for long periods, but if you are reading anything with pictures it is definitely the way to go. Since we don't plan on doing much more than reading, emails and apps it was a better choice price-wise than the ipad for us. Both our kindles are on the same amazon account so we can share any books that we purchase. So there you have it. Completely odd bits of my life for the last week or so. I promise to show you some more interesting things once the craziness dies down.